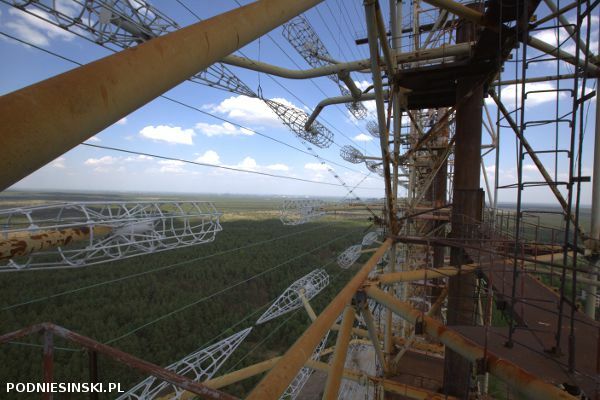 First of all, Chernobyl 2, or the DUGA Radar, known colloquially as the Moscow Eye. 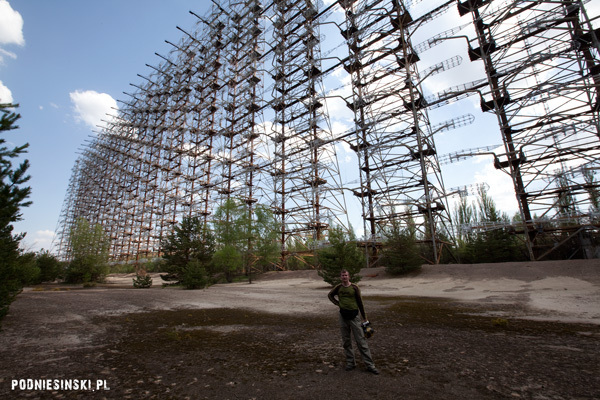 This is a soviet over-the-horizon radar installation which is no longer in use but once served to detect potential ballistic missiles with nuclear warheads flying over the territory of the USSR. It was one of the most important elements of the system for early warning in the event of an attack on the USSR. 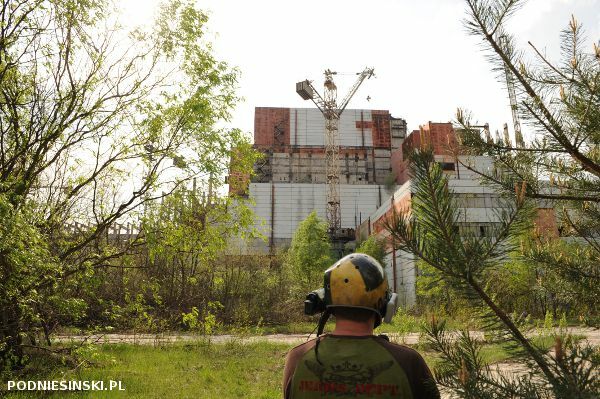 Unfortunately, as a result of the ionising radiation caused by the disaster at Chernobyl, the installation ceased to work. Of course, we have been to the Eye many times so you know, this is nothing new. This time, however, we attempted to reach the very top of the antenna! It was not easy. 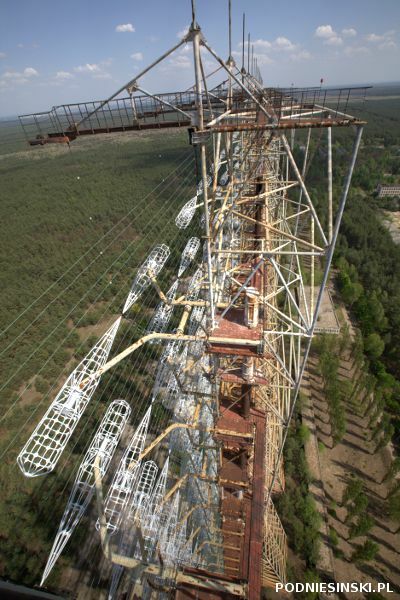 The antenna is 135 metres and the only way to the top is by upright metal ladders, divided every dozen metres by the next floor. In addition, the size and shape of the antenna and the thousands of metres of metal wires stretched across it cause an incredible metallic whistling noise when the wind blows through it. The whistling is so loud you can hear it from really far away. Although it is the middle of the day, we encountered a vast emptiness there; the whistle of the wind and constant banging of the metal parts of the structure moved by the wind blowing through it magnify the sense of mystery of this place. But this didn’t bother us, so we started to climb. It was necessary to do this very carefully since we weren’t sure if the ladders were fitted correctly, if the welding would hold, or whether something would come unstuck or fall off. And so after over half an hour of climbing and several blisters on our hands, the three participants reached the top! The unusualness of the place, especially its history, and the breathtaking view from the top rewarded all the effort it took us to get here! After our descent, which was not any easier, we to the nearby auxiliary radar known as “Circle” which is located approximately 1 km from the Moscow Eye. Because of a heavy snowfall, we were not able to find the path leading to it the last time we were here. This time it was easy. And since I’ve already mentioned pitfalls, or places which for various reasons we didn’t manage to reach then, I should also mention the harbour cranes. The last two attempts to reach them have been unsuccessful. This time, we were surprised at how easily we managed to get there. All thanks to maps and a new guide who helped us reach these places. We came across 4 huge cranes there, one of which was in the water. From close up, they look like 4 giant monsters from a sci-fi film. Of course, we didn’t pass by without checking the view from the top of each of them. 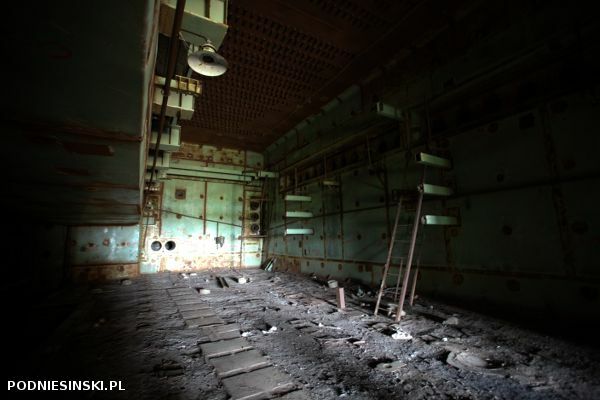 The next structure we visited was the unfinished unit of reactor 5 and 6. At the moment of the disaster, their construction was in progress and only stopped 3 years later. At present, demolition work is underway – metal is the only valuable thing in this place. 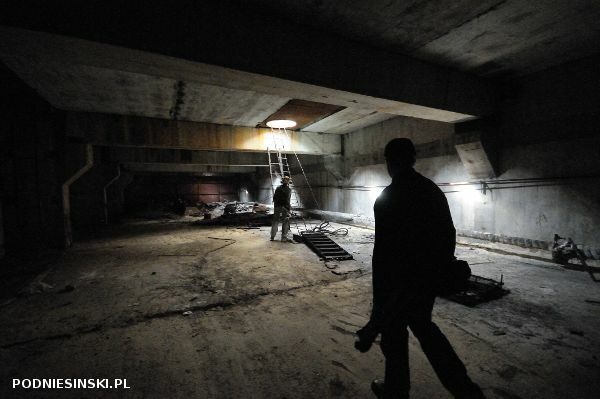 Inside the power plant, there are labyrinths of rooms, stairs, and shafts several dozens of metres high, full of metal installations, rails and huge pipes. Many rooms are separated by steel doors, several dozen centimetres thick. 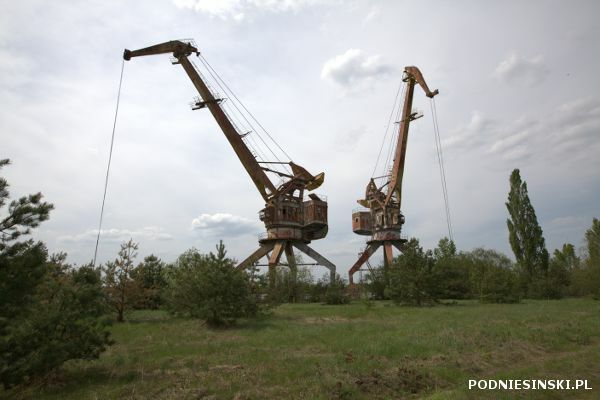 And all around are several rusted, immobile cranes which have stood here since the disaster. While weaving our way through the whole building, we also looked for a way that would lead to the roof. The special high-powered lighting which we brought for this occasion, which is capable of lighting even huge rooms, came in very handy. In the end, we were able to reach the side deck and by external ladders and stairs we made it to the next levels until eventually we found ourselves at the very top. 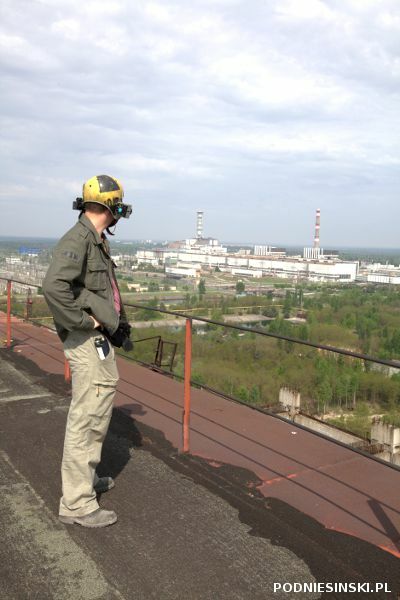 The view from the roof of reactor 1-4 is not only exceptional but also gives us a general view of the layout of the whole complex of the nuclear power plant and all of its accompanying buildings. The next building was the radiobiological laboratory. On our last trip we visited the hall where there were fish tanks and cages for animals. 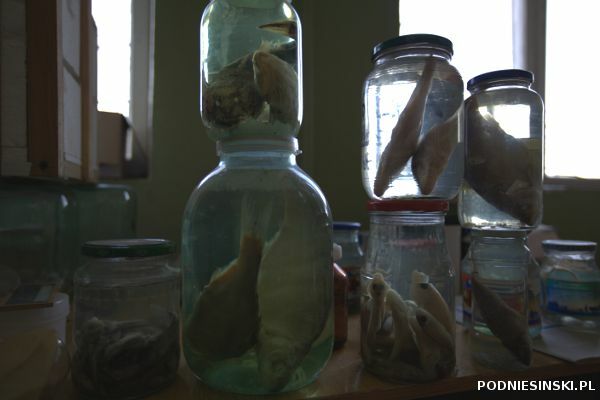 This time, we visited the main building of the laboratory in which we found traces of the experiments carried out here – remaining test tubes, jars of fish in formaline and pieces of experimental equipment. 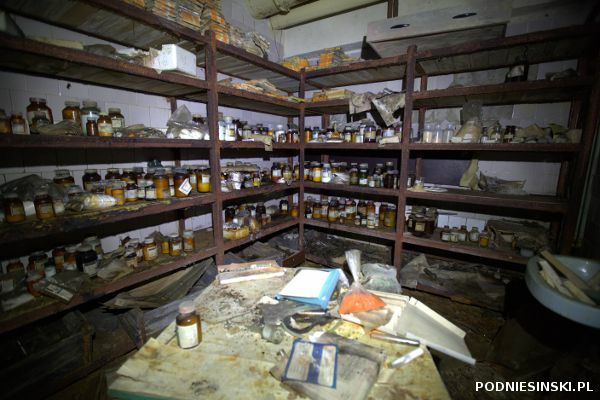 From the dates in the newspapers, we find out that the laboratory functioned for a long time after the disaster. The next building we visited was the children’s recreational centre. 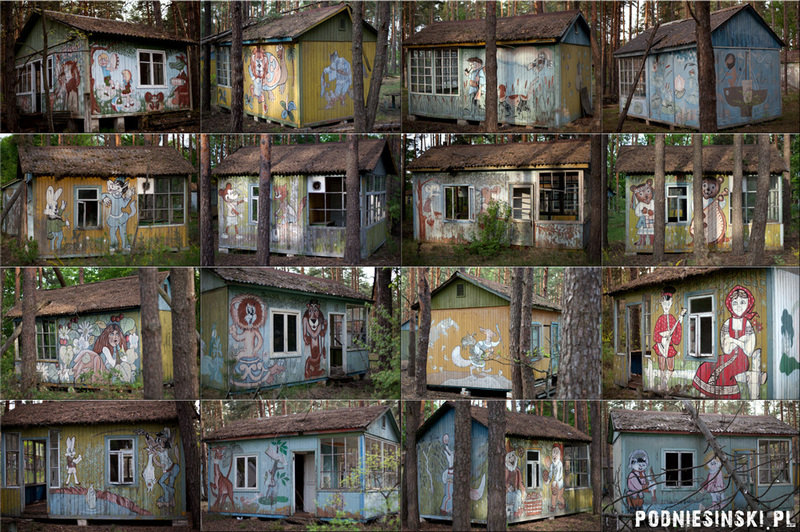 Situated in the forest near Prypiat, it functioned as a place of recreation for children during summer holidays. Dozens of little wooden houses, a summer cinema and funhouse – several dozen children could come here at one time. Many houses caught our attention with their hand-painted walls, most often representing heroes from fairytales from that time. Many drawings remain in very good condition and look as if they were done only recently. 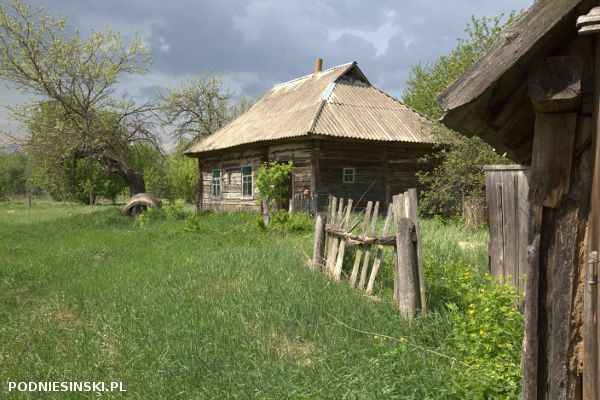 After visiting the surroundings, we returned to Prypiat where, as usual, we visited the majority of the most important structures which we will not describe again as they are described in the reports from previous trips. Instead, we focus on something else. 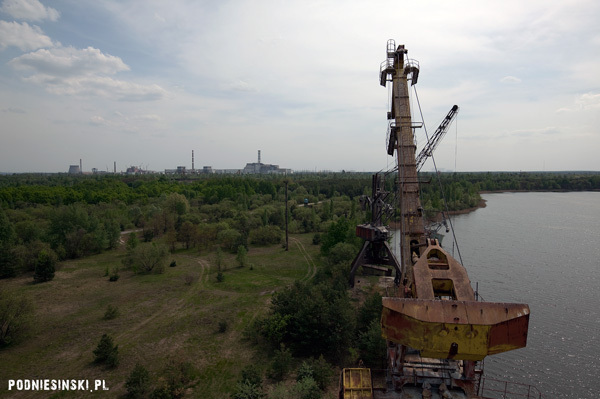 Many people believe that it is safe in Prypiat and that using dosimeters is not necessary because the radiation is the same as where they live day to day. This is true, but not everywhere. During this trip, we examined several such places. Places very few people know about and even fewer visit. And maybe this is why the majority of people still believe that the radiation in the zone is normal. 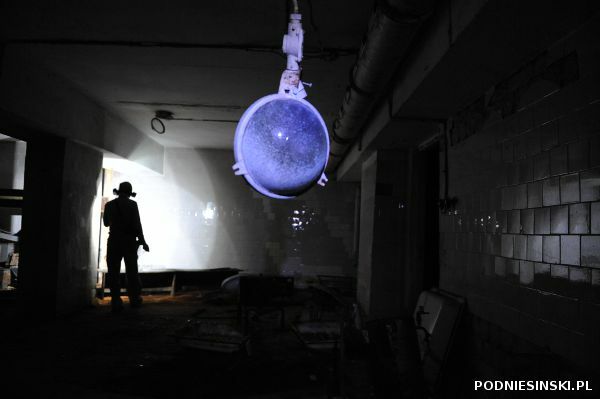 Unfortunately, in Prypiat there are many places where the radiation exceeds the normal level (average dose) several times over. 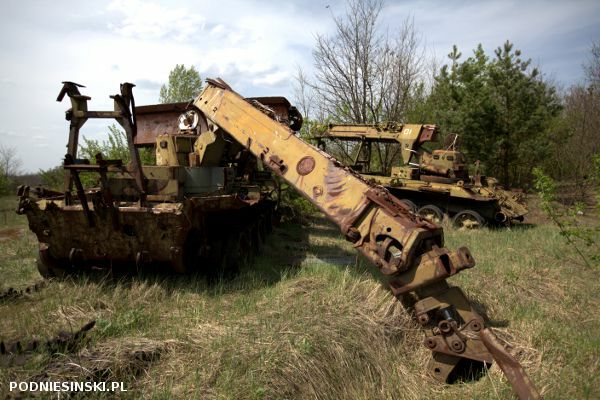 Outdoors, these are most often places where there are abandoned vehicles and equipment which were helping to get rid of the effects of the accident – cars, bulldozers and many types of specialised vehicles. Most often, on merely approaching a vehicle, the radiation increases very quickly to such a high level that the dosimeter is not capable of measuring it and simply freezes. Only professional equipment is capable of showing the actual radiation level. We visited several such places. It is different still in places which have never been decontaminated. 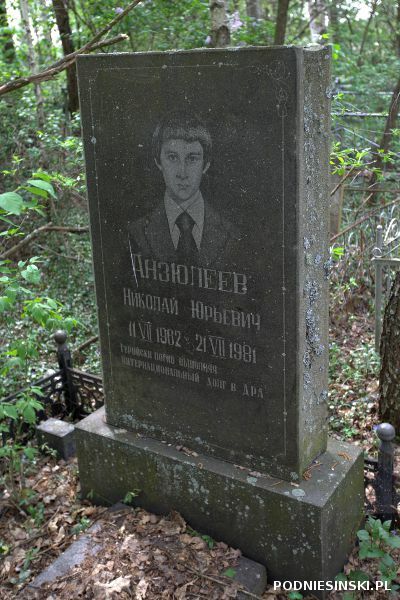 One such place is the cemetery in Prypiat. The reason for the higher radiation level is obvious. It is difficult to decontaminate, or most often to get rid of the soil, from places where people are buried. 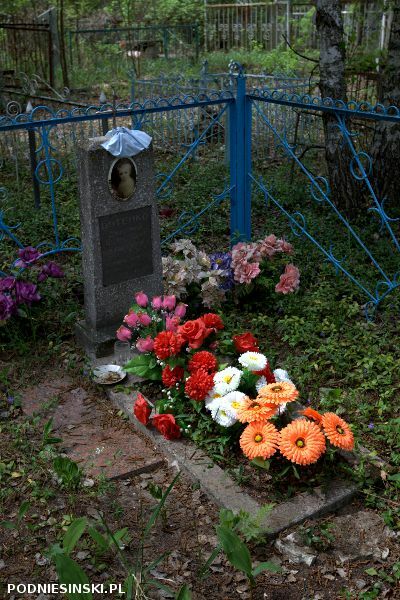 The first thing that caught our eye in the abandoned cemetery was the colourful flowers on some of the graves. The flowers are, of course, artificial. They need to last for a long time because the difficulty of access and high radiation level doesn’t allow people to this place very often. 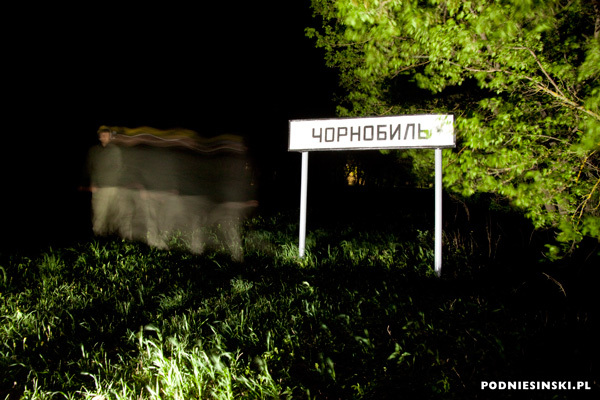 But the cemetery is not the most radioactive place in Prypiat. 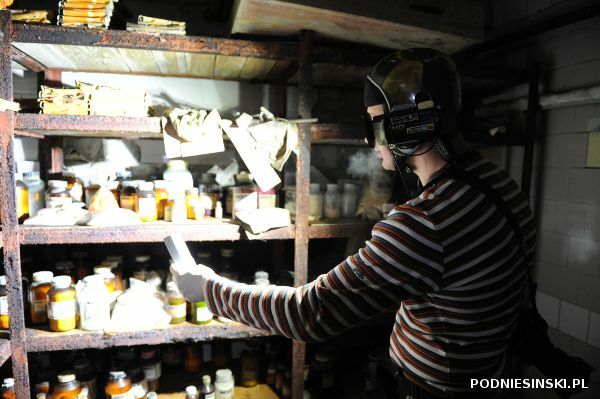 The highest levels of radiation are inside closed rooms which have polluted objects in them. Where there is no wind flowing through or rain which could disperse or wash it away, thus lowering the level of radiation. Such rooms are, for example, cellars where there are still many highly radioactive objects. There the doses of radiation can reach up to 100 mR/h and thus are several thousand times higher than doses which are considered normal. Entering them without special training, knowledge, clothing and measuring equipment can be very dangerous. One such place is a room in a cellar of one of the hospitals. There, you can still find clothing of guards and workers of the power plant who fought against the effects of the accident on April 26th, 1986. The level of radiation in this place is high – approx. 25 mR/h. 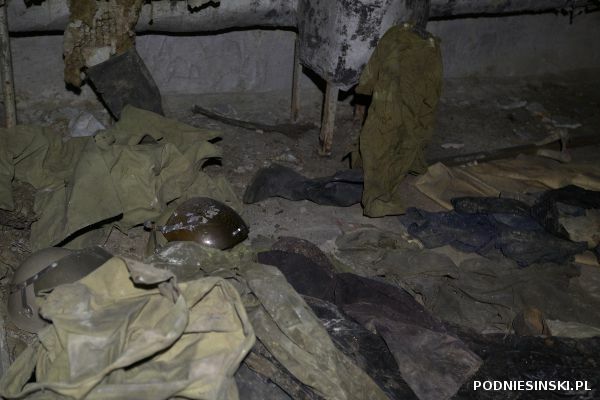 We found there abandoned boots, helmets, uniforms and caps of the people most affected by the effects of the Chernobyl disaster. Many of those at the hospital did not realise that they only had days left to live. 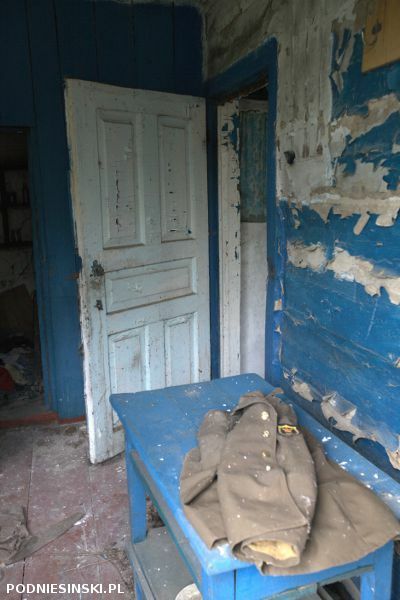 In turn, other rooms were completely clean and did not contain radioactive materials, and masks and protective clothing were not necessary there. Our stay reached its end and we had to leave the abandoned zone. Paradoxically, the zone was not at all abandoned on this day. 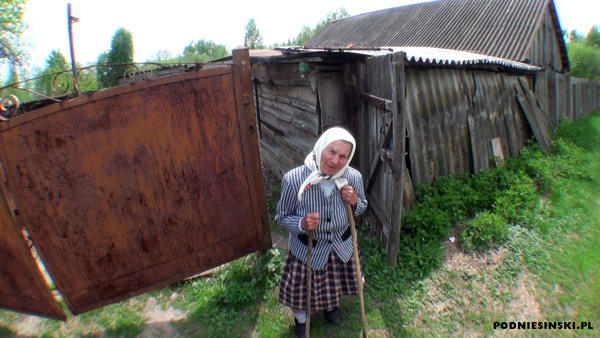 It was May 9th, Sunday, Victory Day – the only day when Ukrainians could freely (without restriction and without cost) visit the zone. Some visited the houses in which they had lived, others the graves of their loved ones and others came to meet their neighbours. Victory Day is the only day when the zone is brought to life again. On this day, thousands of people visited the abandoned zone and I hope that thanks to this report, you will be able to go there if even just for a short while.